CitySites360 is a startup company that creates custom Virtual Panoramic Tours of cities, landmarks and businesses. 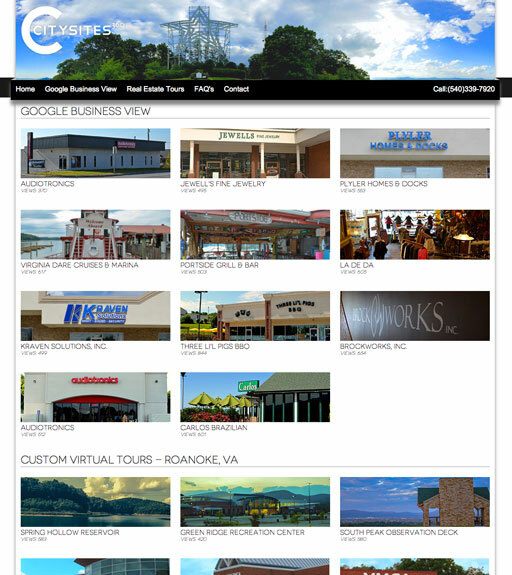 The website for CitySites360 is a portal and directory that houses all of the available virtual tours and utilizes PHP and mySQL to store/retrieve available tours. Mobile version of the directory using jQTouch was created to give access to mobile users viewing tours on their mobile devices. PHP script detects the users device and re-directs them to the mobile site version. Back-end development of custom PHP CRUD application for tour insertion and management.